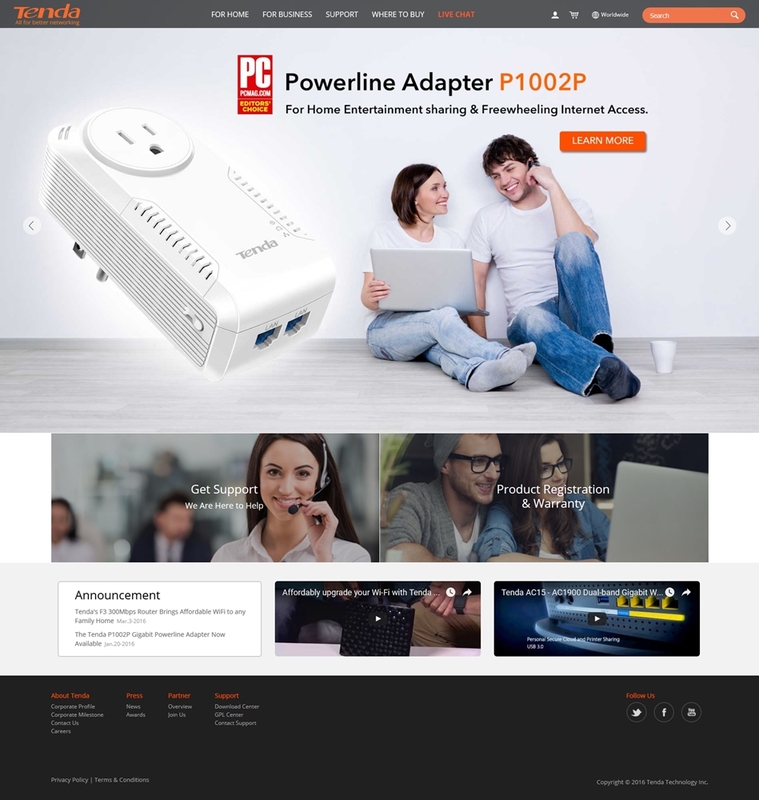 April 21, 2016, Walnut City, USA – Tenda Technology Inc., a subsidiary of Shenzhen Tenda, is eager to offer its American customers a clean, user-friendly interface in its all-new US website, with a robust new customer support section. Visit http://www.tendaus.com/ to check it out! Tenda strives to provide the best, simplest, most cost-effective networking solutions, and it’s only proper for the website to reflect this commitment to its customers. The new US website is organized and designed to emphasize user experience and simplicity. Check out the product pages for Tenda’s latest and greatest! 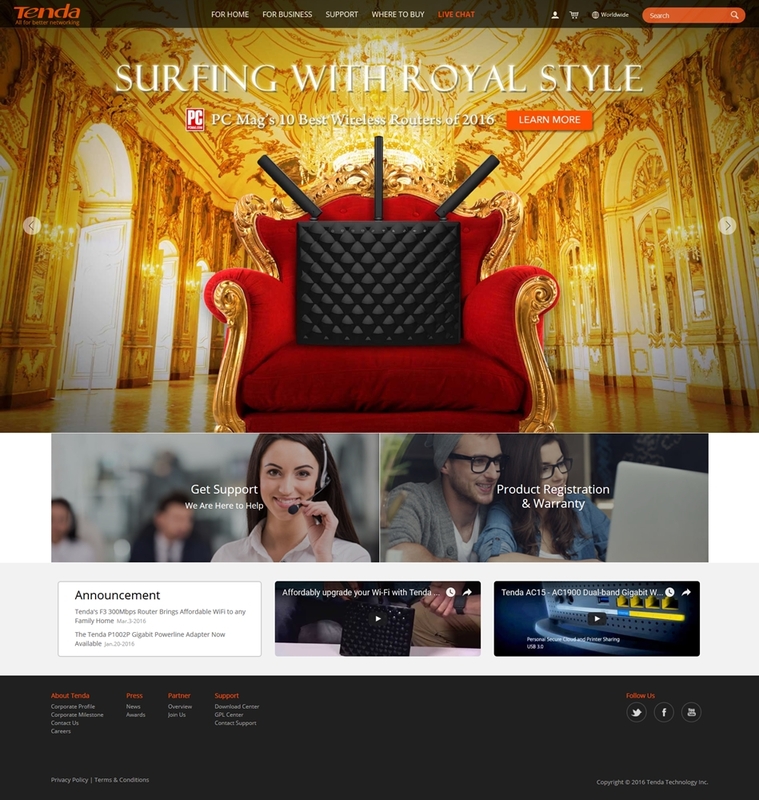 Tenda revamped the support section of the site to include several channels of communication – contact technical support via telephone hotline, direct email, or live chat. A new support forum is now open to anyone to discuss Tenda products and the FAQ section has been completely updated. Customers can find any product information, datasheets, manuals, product images, and videos in the download center, as well as find the most up-to-date firmware available for their networking products. The new US website connects with Tenda’s Twitter, Facebook, and YouTube pages. Check out these social media pages for the latest Tenda news and announcements, as well as some informal fun from the company.